The holiday season has officially arrived in Titletown, USA. Days are short, skies are gray, festive lights are shining and the first snow already fell. Many are turning their sights to the fast-approaching Christmas holiday. 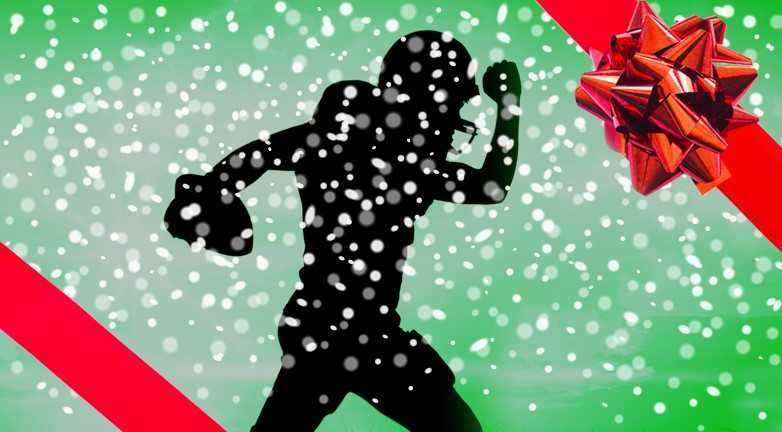 It’s the time of year replete with traditions held dear by so many: faith, family and football. All three of those cornerstones, once again, remain relevant in these winter months. Countless families will gather for the holiday, attend the service of their choice, and make time to cheer for the Green and Gold. And, despite an up-and-down season, the Packers are poised to remain in the NFC playoff hunt through the final weeks of the regular season. Not all gifts are meant to be stuffed under the Christmas tree, especially if they’re intended for the die-hard in your life who dreams of being stuffed inside a stadium with 70,000 likeminded football fanatics. Event USA is ready to be your ”Santa’s helper” to quickly cross the Packers fan off your Christmas gift list. Event USA is the Green Bay area’s trusted and premier provider of Packers game day experiences! There are ticket packages, individual tickets, private suites and tailgate party passes available to satisfy any fan’s appetite for football and fun! Surprise your loved one or friend a few days before Christmas by sending them to the Packers-Jets game on December 23rd, or let them join with the rest of the Lambeau faithful on December 30th to send the Lions slinking back to Detroit.